One of the principles of my blog is the “Teaching of Wealth Building and Financial Literacy”. A key component of Financial Literacy is understanding debt – specifically what happens when you carry too much of it. I painfully learned what it’s like to carry exorbitant amounts of debt – a place I hope never to return to. I got out of debt because some friends graciously shared Dave Ramsey’s “Financial Peace University” with me. While there are supporters of Financial Peace University and Dave’s “Debt Snowball”, I found that there are also detractors and critics. I wrote the following piece on the Examiner in early 2016 after someone else wrote an article about why she quit her Debt Snowball. I didn’t write this to rebut the author in a confrontational way or to discard her experience altogether, but instead to share an alternative perspective. By the way, to read about how to prolong your Debt Snowball, see my Mother’s Day 2017 blog post. Over the holiday season, an article appeared on my Twitter feed from another passionate Financial Literacy writer (there are many) titled; Why I Gave Up on Dave Ramsey’s Debt Snowball. Being a coordinator within the Financial Peace University ministry at the Alfred Street Baptist Church, and also in the final stages of my own Debt snowball, the article resonated with me and prompted the crafting of this piece. This piece won’t refute Jennifer Calonia’s experience, but will actually agree with some of her points and discuss my own experiences. No one plans to go into crippling financial debt which usually occurs because of a lack of Financial Literacy; living above one’s means, or something else such as today’s soaring costs of higher education. Many people don’t understand what they’re doing and the long-term ramifications as was in my case. Roughly nine years were spent completing my Ph.D. and then the two and a half years of subsequent training – all on a taxable graduate stipend which ranged from $17,000-$22,000, and then a postdoctoral salary of $37,000. During that time, my expenses often exceeded my income for a number reasons. My old Saturn SL2 was bought with my father’s credit card. 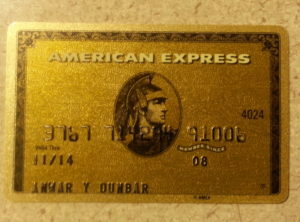 It was maintained using another credit card whose balance eventually ballooned to $8,500 (just paid off this month). An unhealthy relationship or two also contributed to the bonanza. After starting my first real job in the Federal Government, my debt swelled at least two to three times due to wanting to learn to invest in real estate, and wanting to do too much too soon money-wise. It was a good idea but the trainings came at a steep price which in hindsight could’ve been obtained for less money. Those who gave those particular trainings dangerously encouraged us as students who didn’t have tens of thousands of dollars saved up, to use our credit cards, under the assumption that the costs of the classes would get paid off relatively easily once we some real estate deals were done (to be covered in depth in a later piece). The Debt Snowball is a strategy for eliminating debt. The individual lines up all of their debts smallest to largest, steadily paying them off one by one using the money from each paid off debt on the next one, steadily increasing the size of the payments on the larger ones until everything is paid off using “Gazelle Intensity” as Dave Ramsey calls it. Dave Ramsey uses the parable of the Gazelle who represents consumers who are preyed upon by the Cheetahs who represent credit card companies, banks and marketers. Jennifer Calonia’s points are honestly all valid. My own Debt Snowball has taken two to three difficult years (and that’s without children), and it is easy to feel like quitting. Life continues to happen not just to you, but those around you – some of whom aren’t making good financial decisions and ultimately need your help – often unexpectedly. There is also the pull to do what others are doing – taking lavish vacations and acquiring luxury items for example. Finally, because you’re living on a fixed income when doing the debt snowball, some people may conclude that you’re “strapped” for cash which can be hurtful if you’re sensitive to the words of others. These are all reasons why Ramsey discusses prayer when pursuing this effort (if that’s in your value system of course). From experience, when doing the Debt Snowball, one has to know that there are times when this financial plan can and must be altered temporarily – the holiday season for example. Furthermore, periodic rewards are realistically a good idea too (within reason). In other words, if you’re doing the Debt Snowball, you have to allow yourself some fun, or else you’ll stop it and never go back. Much to my surprise, Dave Ramsey does have his detractors and critics as does every author/speaker/guru. There is for example a second method to paying down debts which involves paying down the highest interest rate obligations first. Some consider this more financially intelligent than the debt snowball which is powerful because of the ‘emotional’ effect of seeing the debts go away. “We’re going to live like no one else, so later we can live like no one else,” Ramsey says frequently during frequently during FPU meaning that some sacrifices are initially involved, for greater gains and a comfortable life later on. Money is an emotional topic and as with most things, everyone has to make the best decisions for their own lives. Being on the cusp of completing my own debt snowball, it admittedly wasn’t easy, but if one can find a way to stick to it, it does work. If you’ve found value here and think it would benefit others, please share it and/or leave a comment. To receive all of the most up to date content from the Big Words Blog Site, subscribe using the subscription box in the right-hand column in this post and throughout the site, or add the link to my RSS feed to your feedreader. Please visit my YouTube channel entitled, Big Discussions76. 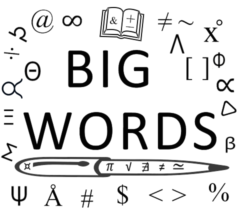 You can follow me on the Big Words Blog Site Facebook page, and Twitter at @BWArePowerful. Lastly, you can follow me on Instagram at @anwaryusef76. While my main areas of focus are Education, STEM and Financial Literacy, there are other blogs/sites I endorse which can be found on that particular page of my site.